"The Heart of Shopping Local"
Comprised of over 30 of the best merchants in the Hilton Head and Bluffton area the Village at Wexford offers Hilton Head's best shopping and dining. We look forward with great anticipation to the spring and summer months of Hilton Head Island. Close to the beautiful beaches and pristine golf courses of Hilton Head, the Village of Wexford welcomes visitors and locals to shop, indulge, and enjoy. With award-winning merchants consistently voted as the Best of Hilton Head across all categories of shopping, dining, and pampering, the Village at Wexford strives to provide the highest quality experiences. Our merchants and the Village itself have been consistently recognized by the community, winning the annual Island Packet and Hilton Head Monthly Readers Choice Awards. Voted Favorite Shopping Center 2013, 2014, 2015 and 2016. Whether taking a break from activities on vacation or relaxing with a great meal before listening to live music, the Village at Wexford welcomes you! From live music to pet adoption fairs, there is always something going on in the Village. The Village is pet friendly, so bring your furry friend with you to stroll or to dine on one of our patios. Please check WHAT’S HAPPENING for details! 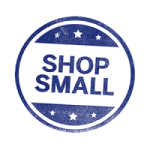 Visit 30+ Eclectic Mix of Locally-Owned Specialty Shops. The Village is located on Hilton Head's extensive pathway map at mile marker 10.5. We have bike racks located near both north and south side fountains, and plenty of restaurants for you to stop in to "refuel." Bike, run or walk over to the Village at Wexford and experience the heart of shopping local on Hilton Head Island. VAW is located at the intersection of Highway 278 (William Hilton Parkway) and New Orleans Road on Hilton Head's south end. "Like" us on FB to see "What's Happening in the Village. Comprised of over 30 of the best merchants in the Hilton Head and Bluffton area, visitors and locals alike enjoy fine shopping, dining, and pampering that makes up the best of Hilton Head. 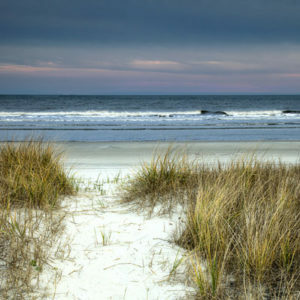 We look forward with great anticipation to the spring and summer months of Hilton Head Island. Close to the beautiful beaches and pristine golf courses of Hilton Head, the Village of Wexford welcomes visitors and locals to shop, dine, and pamper. With award-winning merchants consistently voted as the Best of Hilton Head across all categories of shopping, dining, and pampering, the Village at Wexford strives to provide the highest quality experiences. Our merchants and the Village itself have been consistently recognized by the community, winning the annual Island Packet and Hilton Head Monthly Readers Choice Awards. The Village and its merchants are consistently ranked #1 in the annual Readers Choice Awards. Pets are welcome in the Village! Bring your furry friend with you anytime!. There are water bowls at all our store fronts, and our patios are pet friendly if you want to dine with your doggie. Ask about "Fido Fries", homemade dog treats by Tail Wiggles. *No animals are allowed in FACES DaySpa & Lash Studio or The Hair Designers per SC health codes please. Visit the Village every Wednesday for merchant specials and events! It's our day to "WOW" you with events, special offers, & demonstrations from our unique collection of specialty shops, services and restaurants. Please check WHAT'S HAPPENING in the Village for details. Our merchants have almost everything you need to make your wedding special! From hair and makeup on the special day to gifts for the wedding party. Plan your wedding with us! The Village at Wexford has it all in one place. Hair, nails & makeup on the big day, alterations, invitations, flowers and centerpieces, restaurants for your private parties, and even services to get your furry friend ready to walk down the aisle with you. It's your one stop to find the perfect outfits and accessories for all of the fun parties. Choose gifts for your wedding party, or register for your own gifts to enjoy after the honeymoon! Relax before the big day. Nails & Makeup. Join us every week for Wednesdays at Wexford. It's our day to "WOW" you with special events & offers from our merchants. 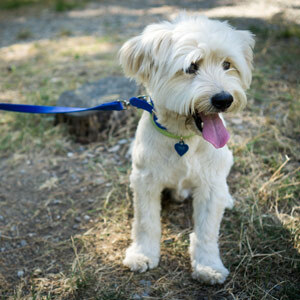 And the Village is pet-friendly, so bring your furry friend with you for a stroll, or to dine on one of our patios! Be sure to "like" us on Facebook to see all the latest news and fun photos & videos from our events. Stop in for "Wednesday Tastings" and sample Chef's choice! Every Friday afternoon from 12- 3pm, Tail Wiggles hosts an adorable and adoptable dog from the Hilton Head Humane Association! Spend an afternoon exploring one of Hilton Head Island’s premier shopping and dining districts. Our Savor the Village at Wexford tour introduces you to the quaint shops and dining spots that make the Village a local’s favorite. It is home to some of the Island’s most unique taste sensations. Experience Italian oils, farm to table tacos, unique craft brews, and more on this delicious culinary tour. Tours depart every Wednesday at 2:30 p.m. (exact meeting spot will be provided with the purchase of your ticket). Click here to SAVOR THE VILLAGE AT WEXFORD! Located at the intersection of Highway 278 and New Orleans Rd on Hilton Head's south end. The Village at Wexford is located on Hilton Head's extensive pathway map at mile marker 10.5. Bike, run or walk over to the Village for the "best of everything and something for everyone." We have bike racks located near both the north and south side fountains, and plenty of restaurants for you to stop in to "refuel."